Homeowners are placing more and more value on their outdoor spaces these days. Decks aren’t just an afterthought, but part of the home itself. This is especially true for log home and timber frame homeowners, who often want to make their homes one with nature — not an escape from the outdoors. Homeowners are asking contractors to build decks bigger and better, and often look to them as experts for deck design. Here are a few deck building trends we’re seeing in 2017. Keep them in mind when consulting with homeowners about deck projects. In the 70 years Heartwood Mills has been in business, we’ve worked with a lot of log and timber frame home builders, contractors and architects. It’s always a pleasure to help builders exceed their clients’ expectations by providing custom design services, crafting specialized elements like log trusses and timber trusses, and supplying high quality log siding and other wood building materials. The Heartwood Mills Design-Build Partner Program is the result of these collaborations and our way of being even better partners to the building community. The Heartwood Mills Design-Build Partner Program provides builders and contractors with a simple way to offer clients more comprehensive, turnkey service without adding to their overhead. As a Design-Build Partner, your firm will have access to Heartwood Mills’ database of home plans, our exceptional architectural design and engineering services, and competitive rates on building materials. You can leverage our behind-the-scenes experience and expertise to expand your company’s capabilities and grow your business. At Heartwood Mills, we harvest most of the wood we use to produce quality wood building products right from our back yard (or close to it) in Boyne Falls, Michigan. Our sawmill is busy year-round sawing, kiln drying and machining freshly harvested logs into a wide range of wood building products including log siding, log paneling and wood flooring. In fact, we’ve been so busy lately that we’ve undertaken a mill expansion that will enable us to keep pace with demand. 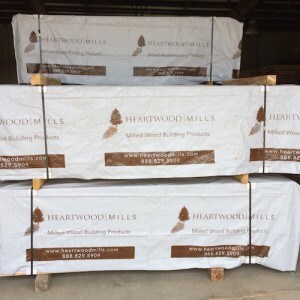 Take a peek into the mill process and you’ll see how Heartwood Mills combines handcrafting with 21st century technology to efficiently produce superior wood materials for all your building needs. Heartwood Mills’ founder, Bernie Kondrat, learned at a young age the advantage of using a durable wood like Northern White Cedar for building projects. When he was just 8 years old, Bernie helped his grandfather install fences in northern Michigan. 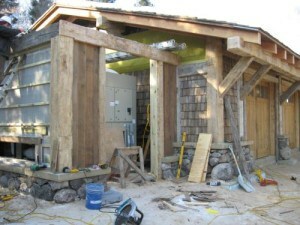 The pair used many wood varieties to construct the posts, from Pine and Spruce and Tamarack to Balsam and White Cedar. When he returned to the woods years later, Bernie noticed one thing: The Northern White Cedar posts remained strong and steadfast; posts constructed from the other wood types suffered deterioration and decay. Bernie isn’t the only person to recognize Northern White Cedar’s strength. Many years before, Native Americans used it to craft their canoes, while pioneers constructed bunk homes from it. What makes Northern White Cedar so much stronger than other wood varieties in the area? Because Northern White Cedar is a slow-growing wood, it contains a larger section of heartwood — a material so important to wood’s strength and durability that we named our business after it. Log siding comes in almost as many varieties as trees. And just like the trees that log siding is made from, all the different options have their own unique characteristics that will impact the look and feel of a home. 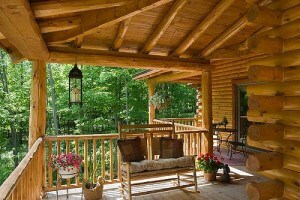 Does your client want a traditional log home? Beveled siding may be the route go. Building something sleek and modern? Consider board and baton log siding. 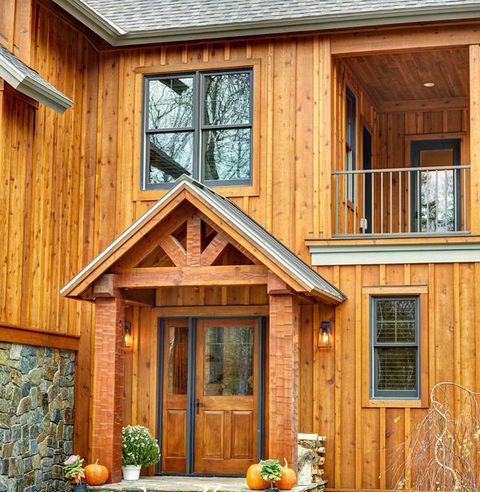 This quick rundown of the different types of log siding will help you make the best choice for your clients’ tastes.